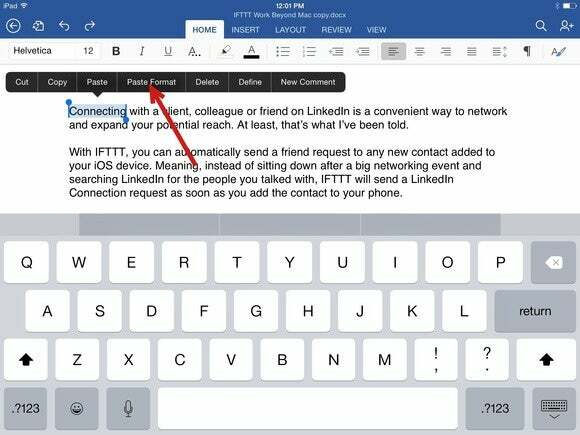 Not too long ago using Microsoft’s Office apps on any iOS device was nothing more than a far-fetched dream. 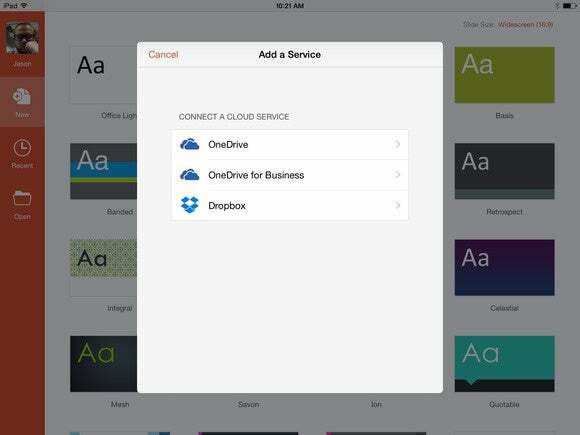 Then the team in Redmond rocked the iOS world by releasing its Office suite for the iPad. There was a glaring issue with it, however, in the fact you could only view documents for free. To edit existing documents or create new ones, you needed to shell out for an Office 365 account. Then in November, Microsoft surprised everyone once again by releasing an update that made editing documents part of the free set of features. Since then, I’ve spent plenty of time kicking the tires of the suite on my iPad and iPhone, and learned some helpful tips for boosting your mobile productivity. Dropbox and file sharing go hand in hand, so naturally you’ll want to access your Dropbox files within Word, Excel, or PowerPoint. There are two easy methods for connecting Office to Dropbox. Either tap your profile picture, then Add a Service; or tap the Open tab on the left side of the screen, then Add a Place. Select Dropbox from the list in either place, and grant permission for the app to access your files. It’s important to note you’ll need to do this with each Office app you plan on using with Dropbox. You can even start from the Dropbox app: While browsing your files there, you can send them to the Office apps for editing. 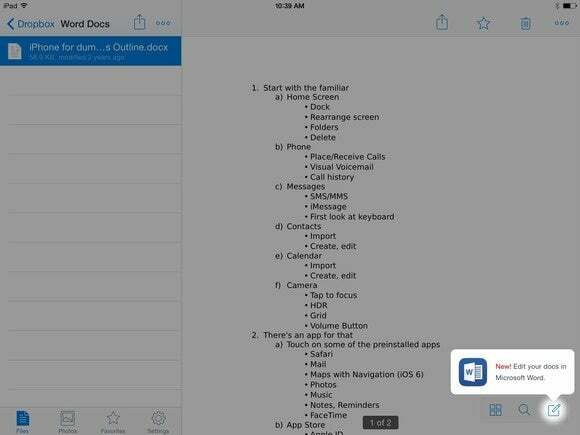 Just open an Office-compatible document for viewing, and then tap the Edit button in the lower-right corner. The document opens in its proper app, and you can make changes and then save it right back to your Dropbox account. One thing I love about using an external iPad keyboard is taking advantage of the same keyboard shortcuts I know and love on my Mac. 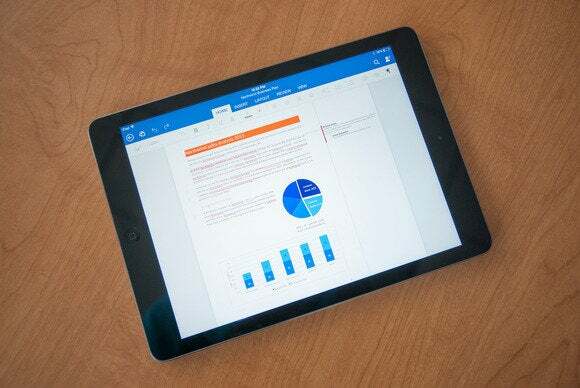 Office for iPad has plenty, and Microsoft has lists for Word, Excel, and PowerPoint. Take a while to peruse them, but they should immediately seem familiar—cut, copy, paste, select all, and undo are among the shortcuts that will immediately speed up your workflow. You’ll even find shortcuts for navigating your documents using, say, Option and the arrow keys, for example, to move the cursor up and down by a paragraph in Word. It might seem weird at first to navigate with the keyboard’s arrow keys when you could just reach out and touch the iPad’s screen. But if you’re used to reaching for these shortcuts on your Mac’s keyboard, using them on your iPad’s external keyboard will have you feeling right at home. Storing a document in the cloud is fine and dandy, so long as you know you’re going to have a data connection of some sort. If you have a big presentation coming up, don’t let something like a broken Wi-Fi network ruin it for you. Save the document to your iOS device as a backup. To do this, while viewing the file you want to save, tap on the document icon with the two arrows making a circle. It’s what I consider to look like a refresh icon. From the list of options, select Duplicate, then choose your device from the list of storage options. Typing a long list of repetitive dates, numbers, months, years—repetitive anything, really—into your Excel spreadsheet is a hassle. 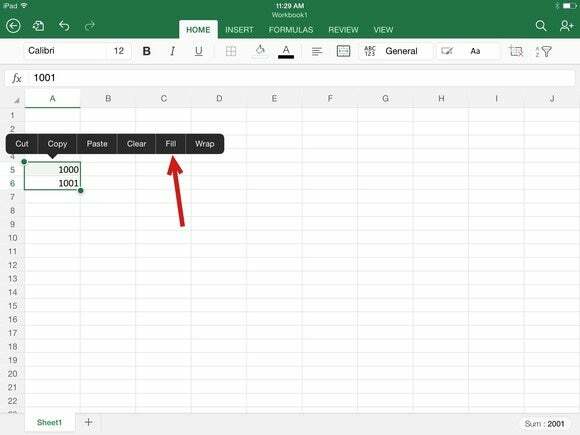 Thankfully, the time-saving Autofill feature from the desktop version has made it into Excel on iOS. Start by filling in the first two cells, setting the pattern for Excel to understand. Then highlight the two cells, bringing up the copy menu where you’ll find the Fill option. Tap on it, then drag the proper arrow in the direction you’d like to continue the sequence. When you lift up your finger, the cells are filled automatically. Even when an app is touch-optimized, repeating tasks can be a bit taxing and tedious, and that definitely includes trying to match formatting between sections of your document. 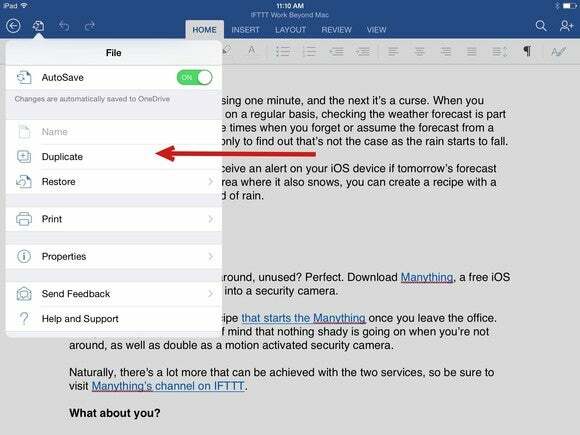 Start by highlighting a block of text with the format you want to reproduce, and tap Copy in the popup. Next, highlight the text you want to apply the formatting to, and select Paste Formatting from the list of options. Too easy. OK, so there’s actually no lasers to be found in the Office apps. 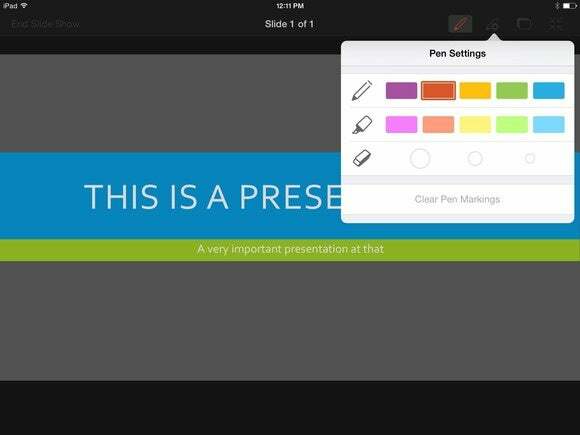 There is, however, a fake laser buried within PowerPoint’s presentation mode. While presenting, presumably from your iPad to an Apple TV or projector, you can tap and hold on the device’s screen to bring up a fake laser icon that moves around under your finger. You’ll also notice the option to draw on the screen in various colors, for an added dramatic effect.